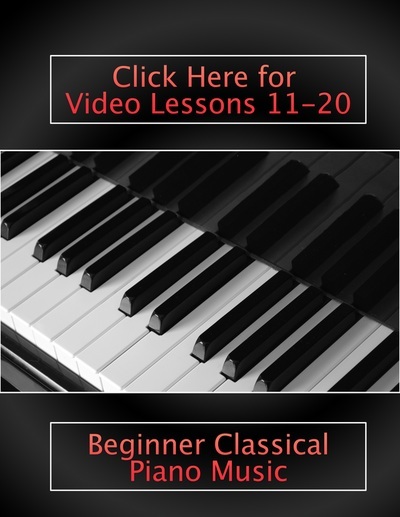 These interactive video lessons correspond with the materials presented in the Beginner Classical Piano Music book. Click on each image below to access the videos lessons. 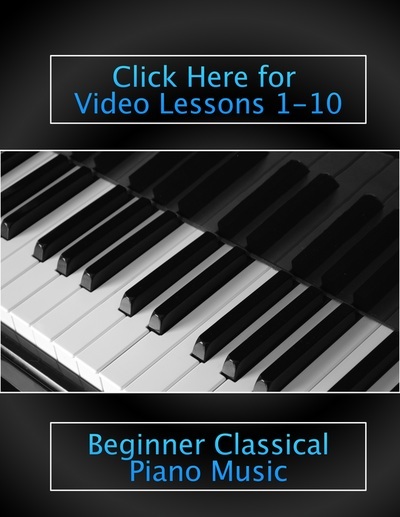 These video lessons are free and available at all times. There is no registration required. Click Here for Free Piano Lessons in Your Inbox!